Plan an unforgettable bachelorette party filled with adventure, pampering, nightlife, and more. While bachelor parties typically insinuate a night of debauchery and adult activities, their female counterparts often include wine tastings, weekend getaways, and other bachelorette-bonding activities. Depending on the likes of the bride-to-be, activities for the bachelorette party can vary. If she enjoys adventure, the host should plan an outing that will test everyone’s skills and limits; or if she prefers a low-key gathering, a casual wine tasting might be the best option. Whether you and your gals plan for a night on the town or a daytime affair, the bachelorette party is a primary event for the bride-to-be to bond with her best girlfriends prior to her approaching nuptials. What better way to feel empowered before the big day than by trying something new and exciting? 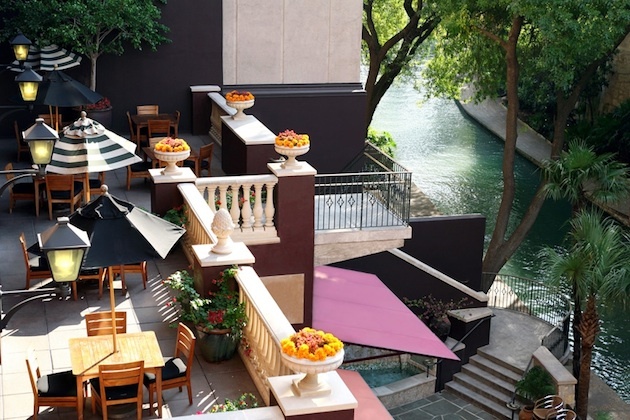 The luxury Shop n’ Shoot Guest Package from Hotel Valencia Riverwalk in San Antonio includes: accommodations in the hotel’s Presidential suite for the bachelorette and nine of her girlfriends; a $5,000 gift card to Saks Fifth Avenue plus a personal shopper; manicures and pedicures; and a shooting lesson at the San Antonio Gun Club taught by a professional marksman. Brunch, a cocktail cruise, and dinner is also provided, as well as custom Lucchese boots for the bachelorette and Virgin Saints & Angels belt buckles for her guests. Ideal for the adventurous bride-to-be, this is an experience she’ll never forget. Prices start at $19,000/night for 10 guests exclusive of tax and subject to availability; 866.842.0100, hotelvalencia-riverwalk.com. Patio of Hotel Valencia San Antonio. Shooting lesson at the San Antonio Gun Club. Bachelorettes that enjoy partying – but stay clear of hot spots due to hectic lines – can visit “the city that never sleeps” to experience the trendiest nightlife attractions without the burden. 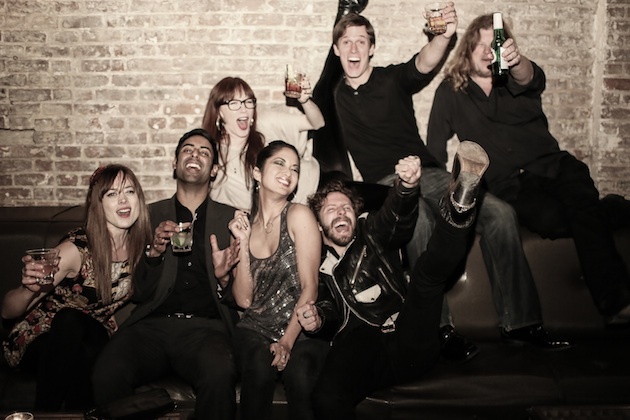 New York City touring company, Take Me Out, picks up the bachelorette and her guests in a limousine or party bus, offers each member of the group three alcoholic beverages in transit, and ensures guests receive VIP treatment at each destination. With a diverse selection of excursions to choose from including mixology and prohibition tours, bachelorettes can paint the town red with their invitees at speakeasy bars, rooftops, and lounges for an unforgettable night of dancing with no lines, no covers, and no need for a designated driver. Prices start at $100/person; takemeoutnyc.com. Take Me Out party bus. Fun evening out with no lines and no cover charges. Vegas is always a great idea for bachelorette parties, as are dinner parties. 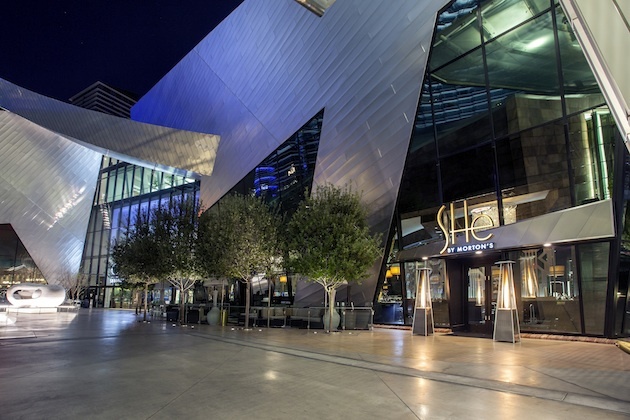 Combine the two and enjoy a filling three-course meal before hitting the strip. Eva Longoria’s SHe by Morton’s, located inside The Shops at Crystals at Aria Resort & Casino, is offering a specialty menu exclusively for bachelorette parties. Guests can enjoy a Caesar salad or tomato panzanella followed by marinated skirt steak and free-range chicken-chop entrees with potato purée, creamed corn, and house-made steak sauce. For dessert, a platter of tiramisu cups, specialty cheesecake, and cinnamon twists is served, followed by a complimentary round of shots to kick off the night’s festivities. $60/person; 702.254.2376, she-lv.com. Exterior of SHe by Morton's in Las Vegas. Photograph courtesy of SHe by Morton's. 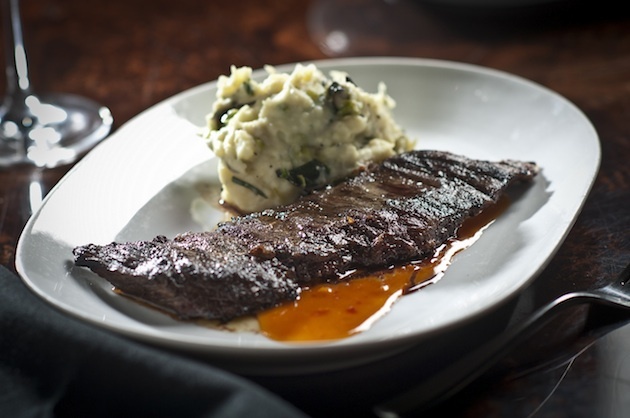 Marinated skirt steak with potato purée. Photograph by Peter Harasty. Chicago brides-to-be are invited to visit Arts n Spirits for a private painting party with 9-49 of their best girlfriends. Groups select which painting they would like to recreate – choices range from still-life pieces to Van Gogh-inspired classics – and an instructor gives a step-by-step tutorial to ensure every person brings home a masterpiece. Bring the party (BYOB) to the studio, or have the party come to you! Arts n Spirits will travel to any location 30 miles from their Chicago studio, which is ideal for bridal showers and bachelorette parties hosted at private residences. Private parties have a 10-person minimum. 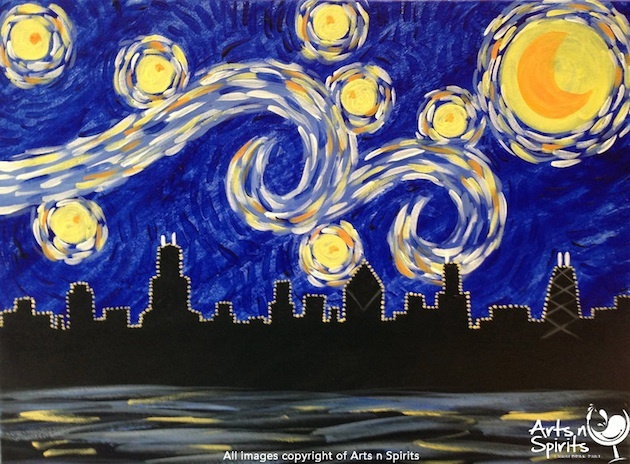 Studio party ($45/person) and on-location party ($50/person plus $150 set-up fee; 773.772.3877, artsnspirits.com. 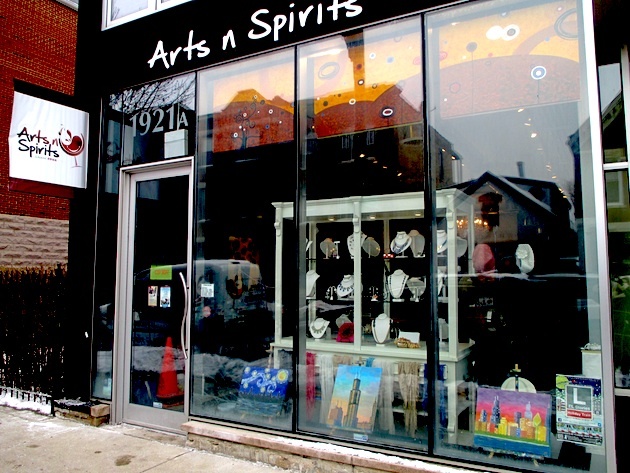 Arts n Spirits storefront in Chicago. Van Gogh-inspired painting option at Arts n Spirits. 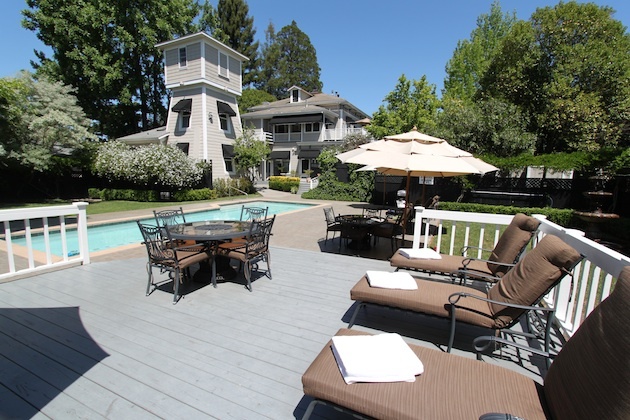 Wine-loving bachelorettes can discover charming accommodations at Honor Mansion in Sonoma, California just a short walk from Healdsburg Square, known for its award-winning restaurants, shopping, and wine tastings. 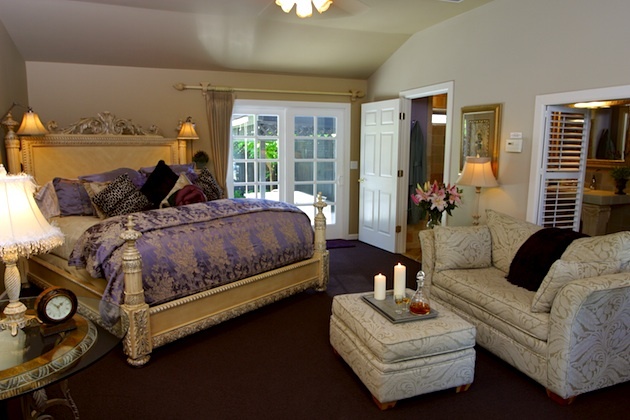 The four-acre property has only thirteen rooms ensuring guests are offered the utmost in privacy and service. Luxurious cottages and suites feature fireplaces, whirlpool tubs, and outdoor spas, creating the ideal setting for a girls' getaway. Unique amenities including daily gourmet breakfasts, as well as afternoon wines and appetizers, coupled with the property’s athletic activities and spa services position this quaint destination as a home-away-from-home in wine country. For stays now through April 10th, book three nights online in any suite Sunday-Thursday and receive 50% off the third night with booking code WINTHM; 800.554.4667, honormansion.com. Pool and patio at Honor Mansion. Interior of the Vineyard Suite I at Honor Mansion. We also suggest visiting TheBach.com, a planning resource exclusively for bachelorette parties, to plan itineraries and discover more restaurants, bars, activities, and transportation available around the country and abroad.